In the past few years, starting with the thought of physical stochastic systems and the principle of preservation of probability, a family of probability density evolution methods (PDEM) has been developed. 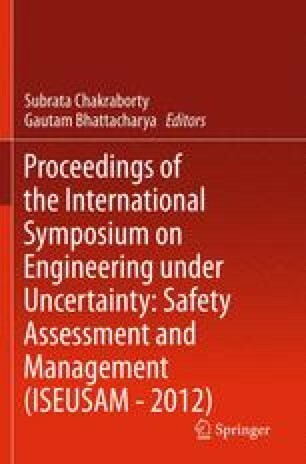 It provides a new perspective toward the accurate design and optimization of structural performance under random engineering excitations such as earthquake ground motions and strong winds. On this basis, a physical approach to structural stochastic optimal control is proposed in the present chapter. A family of probabilistic criteria, including the criterion based on mean and standard deviation of responses, the criterion based on Exceedance probability, and the criterion based on global reliability of systems, is elaborated. The stochastic optimal control of a randomly base-excited single-degree-of-freedom system with active tendon is investigated for illustrative purposes. The results indicate that the control effect relies upon control criteria of which the control criterion in global reliability operates efficiently and gains the desirable structural performance. The results obtained by the proposed method are also compared against those by the LQG control, revealing that the PDEM-based stochastic optimal control exhibits significant benefits over the classical LQG control. Besides, the stochastic optimal control, using the global reliability criterion, of an eight-story shear frame structure is carried out. The numerical example elucidates the validity and applicability of the developed physical stochastic optimal control methodology. The supports of the National Natural Science Foundation of China (Grant Nos. 50621062, 51108344) and the Exploratory Program of State Key Laboratory of Disaster Reduction in Civil Engineering at Tongji University (Grant No. SLDRCE11-B-04) are highly appreciated.